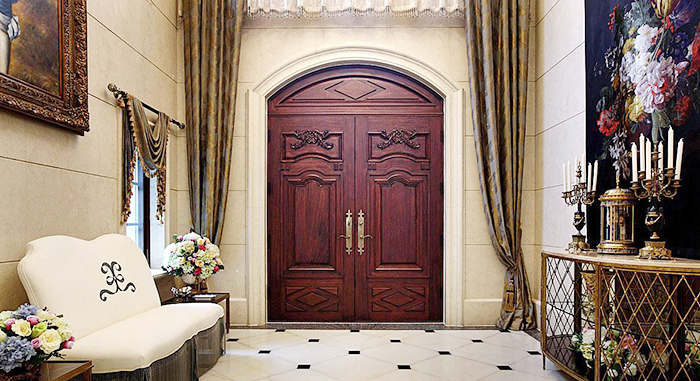 Where is the transformation of the villa door industry? With the development of the times, the transformation of enterprises has become a hot word nowadays. In order to better survive and develop in the future, many enterprises have been transformed. The process of enterprise transformation needs the collision of thought. It is no doubt to change the way of thinking in the first place. The enterprise must jump out of the inherent way of thinking, change an angle, and change a "mind" to think about the future of the enterprise. The reason why "tradition" is traditional is that it is a logic used by most people and a successful model can be copied directly. This "tradition" allows enterprises to ensure the benefits and even gain the maximum value of interests, so that many business owners do not want to jump out of the original circle, circle in the same circle, change a way to continue to play. Just as you can never wake up a sleeps, the success of the past has become a shackle in the mind of the traditional enterprise, and the determination to shake the transition alone is only based on the lack of introspection. Only when he reaches the node of the burning eyebrows can he realize that this is a disaster that can engulf his life. There is no doubt that jumping out of the old circle and learning new thinking patterns are the first step in the transformation of traditional doors and windows enterprises. In the current era of mobile Internet, the way of thinking of the Internet is a key for traditional enterprises to open the door to the new world. It is worth noting that learning Internet thinking is not to completely shift the Internet mode to the operation and operation of traditional enterprises. A correct understanding of the Internet is an important factor for enterprises to successfully achieve transformation in the Internet environment. Learning Internet thinking is not only a shop on the Internet, but more consumers' consumption habits, and the Internet thinking is used as a kind of thinking and technology to recreate the new business model of traditional enterprises. In the final analysis, it is necessary to jump out of the original circle and change the single mode of thinking so as to have the possibility of further transformation. 下一页：Seize the opportunity and face the challenge, how can the villas industry play the leading role?